In the 14 years since the release of their debut album, Germany's Blind Guardian has accomplished a lot. 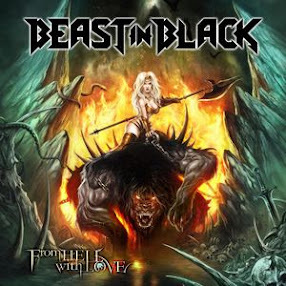 They've released six albums and risen to the top of the power metal crowd. They've conquered audiences all over the world, playing to sold out houses in Europe and Japan. But in all that time, they've never played a show in the United States. That changed this month, when the band of J.R.R. Tolkien devotees launched a month-long assault on the States. Singer and bassist Hansi Kursch says the band is glad to finally be able to play for its American fans. "It's like a dream come true - a very fresh dream," he says in a phone interview from his native Germany. "About five years back, I did not even think about it, but ever since Century Media released our previous album, `Nightfall in Middle-Earth,' I'm really blown away. We've set up quite an impressive U.S. tour. It's a big deal for us." Kursch says he realizes that the crowds here in the U.S. will be smaller than those they've played to in Europe, but the band is prepared for that. "It's a challenge, but we are used to it," he says. "Some years back - let's say 10 or 12 years back - we had the same size crowds over here in Europe, so we are prepared. It's still something special." The band is expecting good turnout for their first shows in the U.S., and Kursch says ticket presales are going well. He says Blind Guardian has a solid fan base in the States. Some are so devoted they'll even make the trip overseas to see the band. "We've played several festivals over here in Europe, and you would be surprised at how many people from the States come over just to see us," he says. For American fans who haven't seen the band live, Kursch says to expect some surprises. Many of Blind Guardian's songs are complex compositions that are difficult to perform live. For example, the 14-minute epic "And Then There Was Silence," from their latest album "A Night at the Opera," took four months and 128 tracks to record. But Kursch says fans will be surprised by what the band can do. "Some of them are difficult, but we can minimize that in terms of focusing on the more important pieces in the song," he says. "On the album they appear impossible to play in a live situation, but skilled musicians can play them." Blind Guardian may be best known for their connections with Tolkien. Their 1999 release "Nightfall in Middle-Earth" was a concept album based on Tolkien's tales, and they've written a number of individual songs based on his works. Kursch says it's something that evolved naturally. "I got hooked on (Tolkien) as a kid and never really got it out of mind," he says. "When we started songwriting in Blind Guardian, we immediately figured out that we were all infected by that story, so parts of the music really went that direction in almost a natural way. When I started working on the lyrics, I had the impression that the music really demanded that type of lyric." 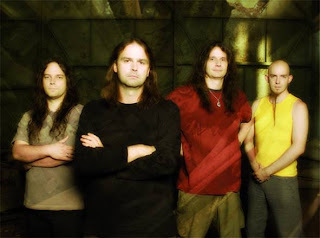 Kursch says a large number of people have discovered Blind Guardian through the Tolkien themes, but just as many metal fans have said they discovered Tolkien through Blind Guardian's music. With the penchant for Tolkien-themed songs comes a segment of the band's fan base that wants them to write nothing but songs based on the "Lord of the Rings" writers' works. Kursch says that doesn't bother him, though. "Not at all - I like to work on Tolkien topics, but I as well like to work on independent topics," he says. "I've been criticized for both, but I don't mind because I usually do what I think is best for the songs." Before the U.S. leg of the tour began, Kursch also spent a few days with his friend Jon Schaffer of Iced Earth to work on a second album with their side project Demons & Wizards, which he hopes will be released some time next year. But Kursch is really just ready to get out and play for the American crowds. He says after the long production schedule for their last album and extensive touring in Europe, the band is looking forward to the new experience and an injection of fresh enthusiasm. "We're really longing to come to the U.S. and get some fresh energy - we're like vampires," he jokes. "It will be a blast."